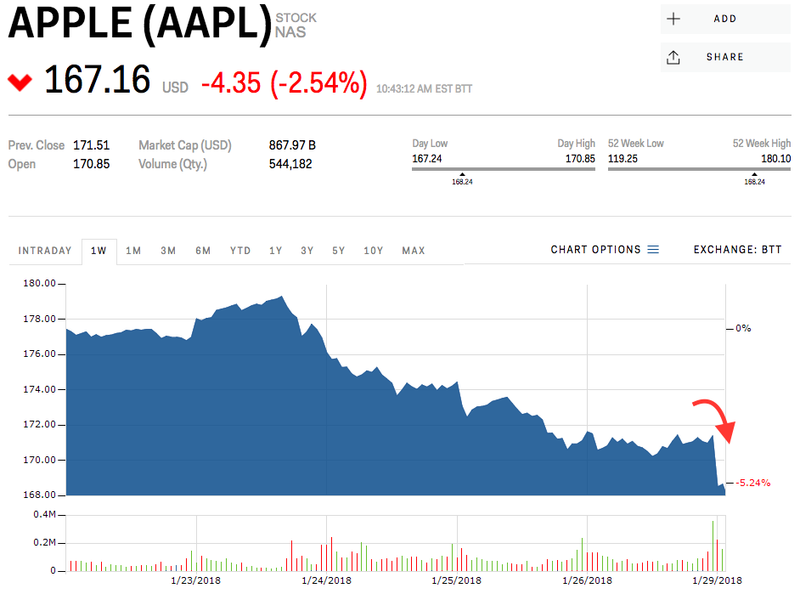 Apple‘s stock slid on Monday morning on news that it plans to reduce its production targets for the iPhone X in the first three months of the year. A UBS analyst believes that the production slowdown will not halt the company’s earnings growth due to the success of its other product lines and windfalls from the tax reform law. Apple expects to release its first-quarter 2018 earnings on Thursday, Feb. 1. View Apple’s stock price in real time here.